Take a look at ‘2014 In Review‘ for more information on 2014 and our plans to grow even further in 2015. March 31, 2014. 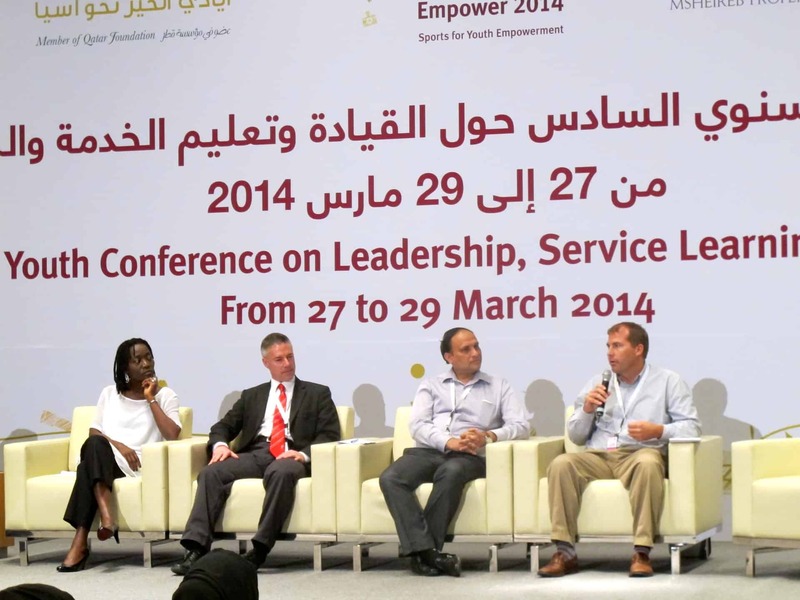 Reach Out to Asia (ROTA), a member of the Qatar Foundation, hosted a three-day event in Doha, Qatar called EMPOWER 2014. 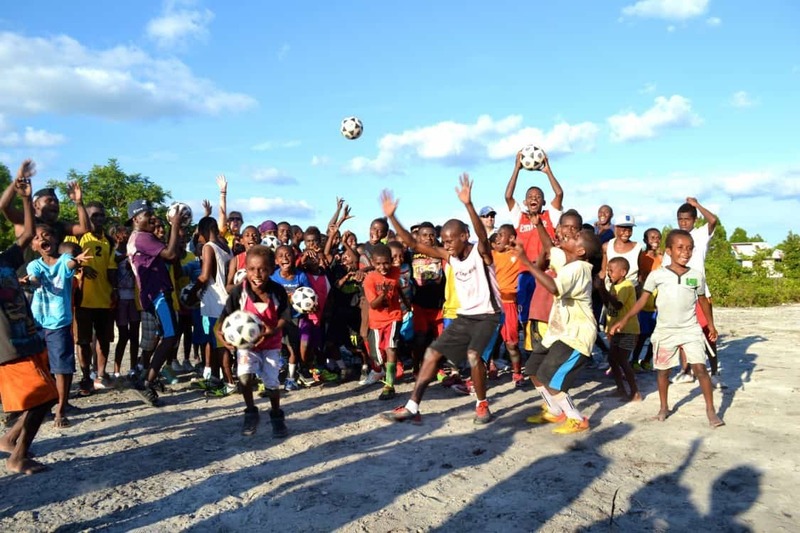 CAC’s Chief Executive Strategist, Brian Suskiewicz, was invited to represent our organization as a key player in the field of sport for development. This was ROTA’s 6th annual youth conference on leadership, service learning, and global citizenship. 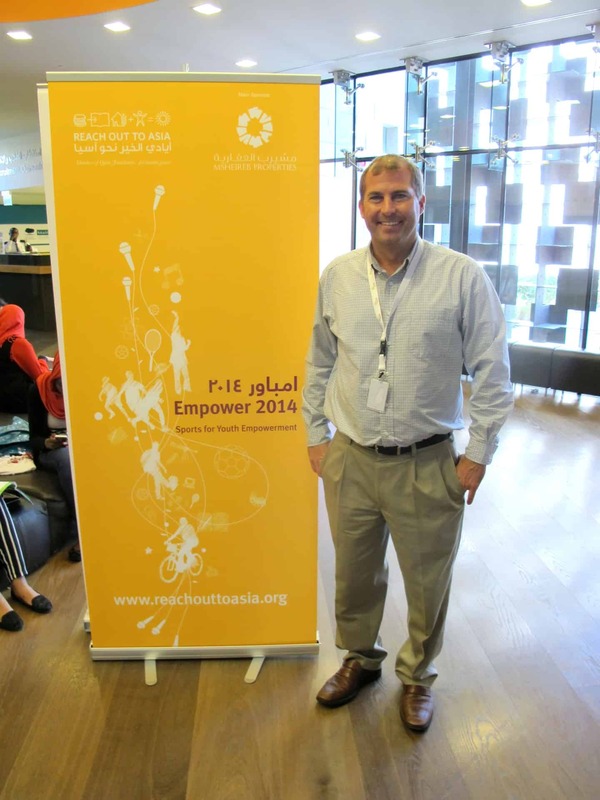 For 2014 the underlying theme was Sport for Youth Empowerment. Over the course of these three days Brian participated on a panel, held a workshop, and ran an on-field session. The panel discussion was on “Sports for Education and Youth Empowerment” and Brian’s fellow panelists included Pratik Kumar, the CEO of our new partners, Magic Bus India, as well as Mark Haig, the director of the Liverpool FC Foundation and Dr. Aumu Obama from Sauti Kuu in Kenya. During this panel Brian told our story, answering questions such as, “How did your organization get started using sports as a way of engaging youth?” and “What is the biggest accomplishment that your organization has achieved by using sports?” He also spoke of the “power of sport” and what it means to our organization. 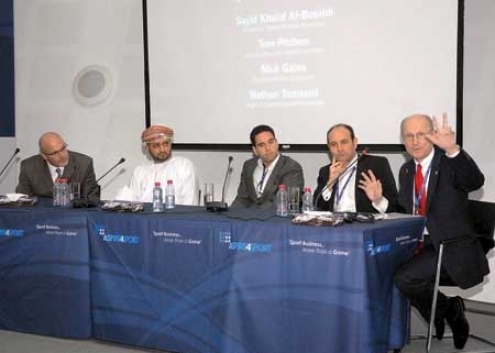 The members of this conference were young leaders from the USA, Brazil, and the throughout Middle East between the ages of 16 and 26. A huge part of what we do at CAC, working with young leaders has its challenges but is infinitely rewarding. Brian took the participants through a classroom workshop centered on our self-directed learning model. 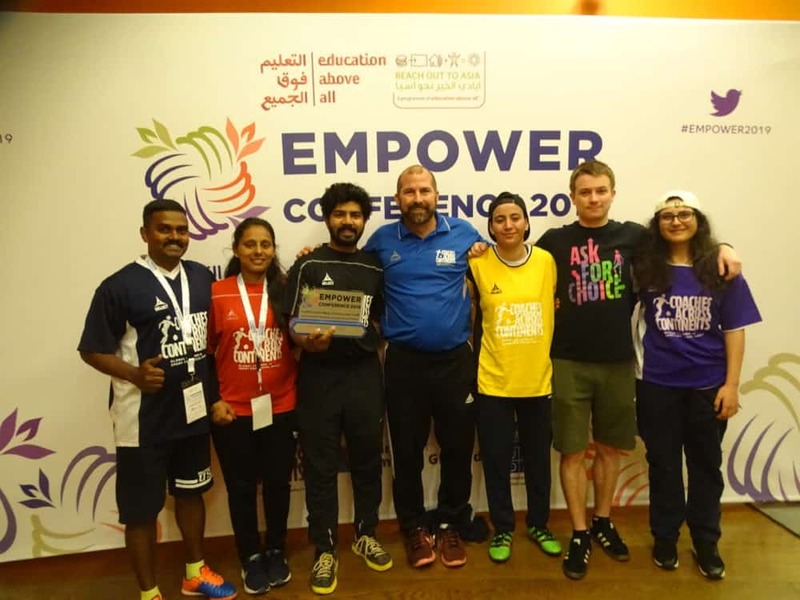 After speaking about how self-directed learning can be taught through sport, Brian engaged the participants in creating their own sport for social impact games, targeting social issues that exist in their own communities. These games were presented to the group at the conclusion of the workshop. 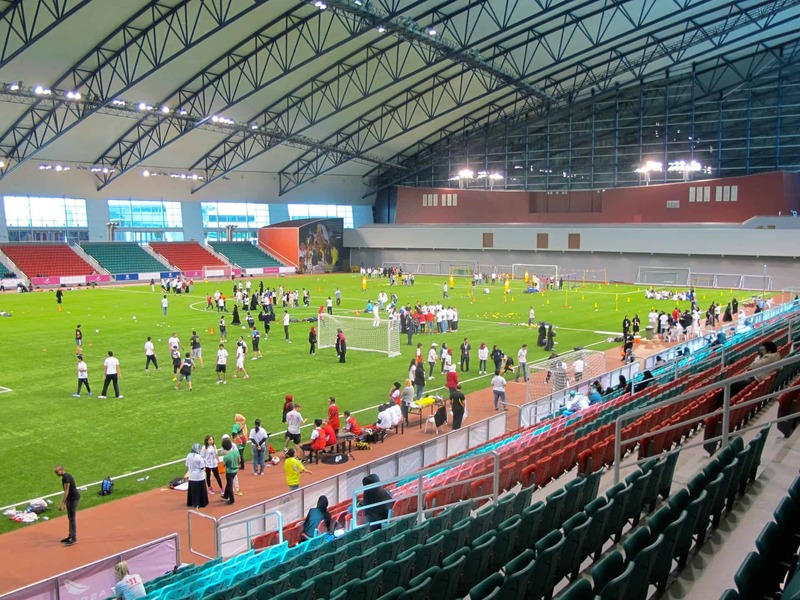 And save the best for last, Brian’s final task at the ROTA youth conference was the on-field session at the world-class Aspire Zone. Brian taught the up and coming games from CAC’s sport for social impact curriculum. The identical three-one hour sessions with new groups of participants focused on using their voice to gain confidence and leadership while playing Circle of Friends, Ronaldo Skills, and then implementing the learned social message of voice into a game of Ronaldo for Fun. 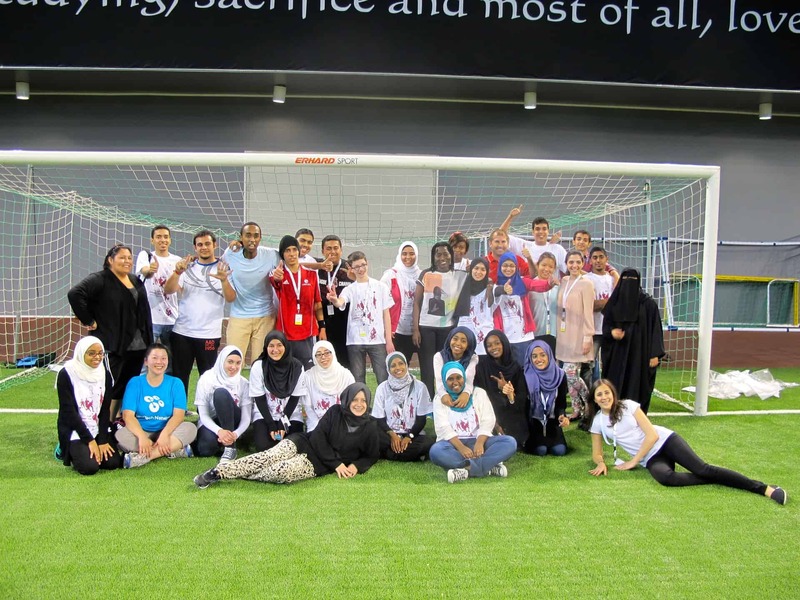 The young leaders learned on-field how to integrate social impact messages in a fun and soccer-intensive way during their brief time on the field. 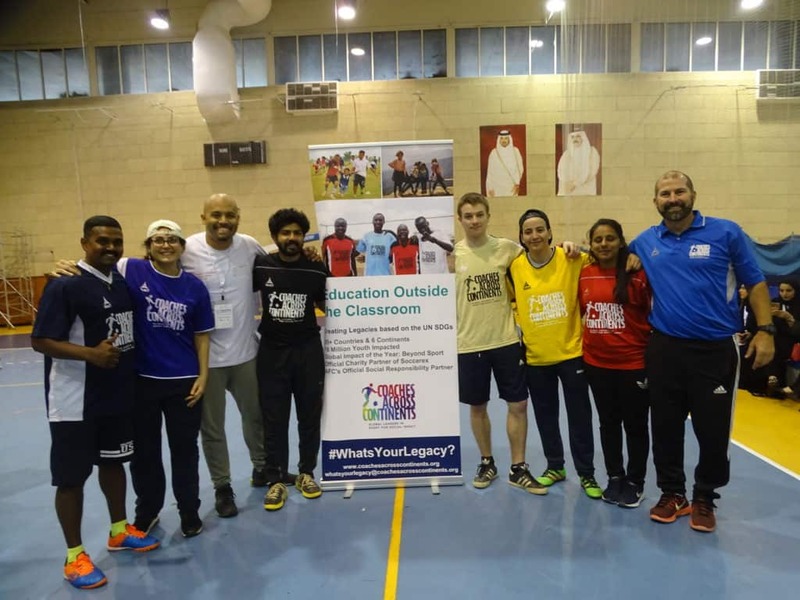 One young girl from Qatar came up after the session and told Brian, “That was the most fun I’ve ever had playing soccer” which was the highlight of the day for our Chief Executive. 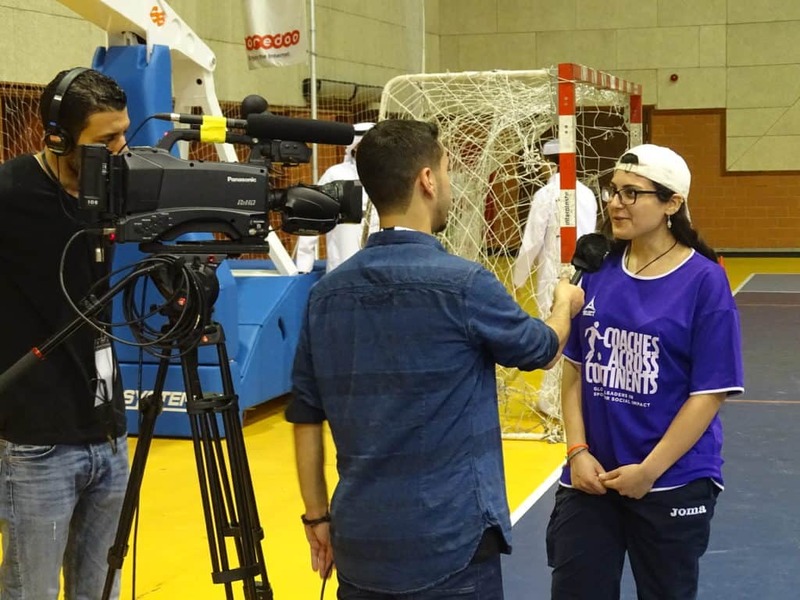 All in all, this was a great opportunity for CAC to share our work with a great group of young leaders and network with like-minded people and organizations that have similar aims – using sport to make the world a better place. This conference comes on the heels of our recent participation in the Next Step Conference held in India in February and just prior to our upcoming presentations at the first-ever Hofstra Soccer Conference which will be held in New York in April, where Pele will be the guest of honor and receive an honorary degree.